We finally got the chance to test out my new <a href=”https://amzn.to/2rqlryA” rel=”noopener” target=”_blank”>Hoover Tempo WidePath and this is our review. So I think we’ll do this review in a pros and cons format. First, the pros. The Hoover Tempo WidePath is really inexpensive, and unlike many of the other cheaper vacuums out there, you actually get a lot more for your money with the Hoover Tempo. For example, its airflow and suction are amazingly high. We measured 82 CFM at the cleaner head and a whopping 115 CFM at the hose, which puts it at the tip top of the scale of vacuums of any price range. Its suction was measured at about 77 inches of water which again is well above average. 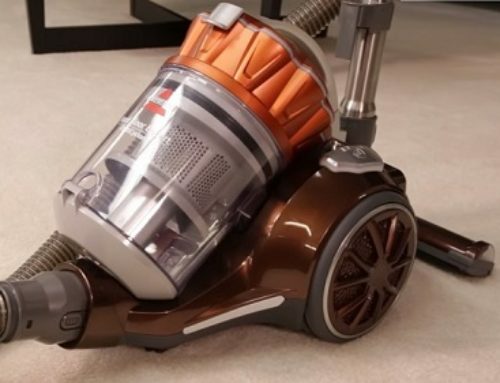 Though we should mention that the Hoover Anniversary Self-Propelled, which is the next step up for Hoover bagged vacuums, has virtually the same power specs. Another pro is its performance on carpet. 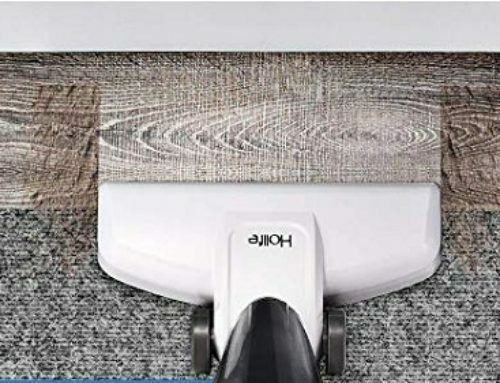 It has a five-level height adjustment and its high airflow and suction combined with a powerful brush roll and stiff bristles for carpet agitation make it absolutely brilliant for carpets of just about any height. It comes with three on board attachments as well as two on board extension wands, which I’m a big fan of because, with its standard 32 millimeter size, you can get a lot of third party tools like hard floor tools if you wanted to. Also, it just makes it so easy to clean larger debris as well as hard-to-reach places with the wands combined with its super high airflow. 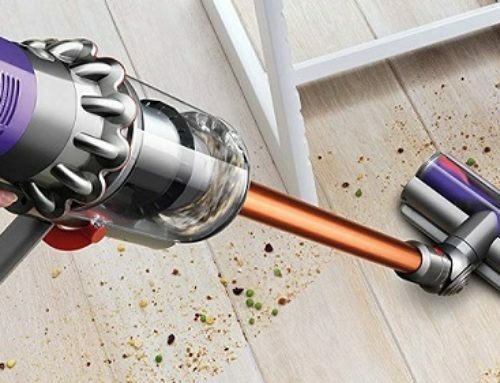 The final pro is that it’s lighter than the Hoover Anniversary at 14.8 pounds instead of 20.2 pounds so I wouldn’t call it light but it’s certainly lighter than the Anniversary which really requires the self-propelled transmission that is included. Moving on to the cons. Though the Tempo is much better at hard floors than the Hoover T series WindTunnel, for example, it’s still not great. Part of the reason is that, like the T series, there’s no way to shut off the brush roll and it tends to kick debris out of the back of the unit even on the hard floor setting. I tried to switch it to the highest setting but it was even worse there. Again, with the two wands, you could buy a third-party hard floor tool but another con is that the hose is only six feet instead of seven feet as with the Hoover Anniversary. It doesn’t sound like much but it really makes using the hose a lot more crammed and less comfortable. Also, even though it has a super high amount of airflow, it doesn’t really translate that airflow well to hard floors, as seen with its lackluster performance on the crevice pickup test, where it took a lot of effort to get all the debris. Finally, it does not come with a HEPA bag and the system is not well sealed as with the Hoover Anniversary, for example, which has a great seal and a HEPA bag. This is not at all surprising as no vacuum in the Tempo’s price range is sealed but it is worth noting. So we would say that the Hoover Tempo WidePath packs a huge amount of power into a very inexpensive package. It’s a superior carpet cleaner with a pretty good attachment package so it’s a good buy in many situations but not if you have a lot of hard floors.